Memagi Medical Imports PLC is the sole agent for Carl Zeiss Meditec products in Ethiopia. Carl Zeiss manufactures a wide range of diagnostic and therapeutic products used in Ophthalmology, Neurosurgery, ENT, Spine Surgery, P&R Surgery, Microdentistry, Gynecology and Oncology. Carl Zeiss offers a comprehensive portfolio of ophthalmic products and services that enable eye care professionals to meet the demands of an increasingly challenging healthcare environment. Carl Zeiss drives the development of leading edge technology for diagnosis, treatment, follow-up and management of the most common eye diseases. 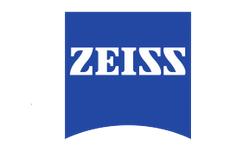 Carl Zeiss provides comprehensive connectivity solutions to help increase efficiency and productivity with electronic workflow. It offers clinical applications training and a broad range of services and support options; all with the goal of helping its customers overcome their day-to- day challenges so they can focus on delivering the best possible patient care. Carl Zeiss ophthalmology & optometry product portfolio can be categorized as follows. Click links below for details. For further information on products, please contact our offices at (+251)-116-164058. Memagi Medical Imports PLC is the distributor of renowned healthcare equipment brands Philips Healthcare & Carl Zeiss in Ethiopia. We specialize in the import, installation, as well as after-sales service of MRIs, CT Scans, Ultrasounds, C-Arms, Digital X-Rays, Ophthalmic devices, etc. © 2016 All Rights Reserved. Memagi Medical Imports PLC. Website Designed & Developed By Yesakor Technologies.